Top Down Shooter is a fun concept game which I made over a weekend. Up to 4 players, local or online, play together to survive in an arena against a continuous stream of enemies. The game features simple controls using a gamepad, left stick for movement and right stick for firing direction. All of the players are on a single screen, this encourages team cooperation since leaving your team results in your character going off the screen. 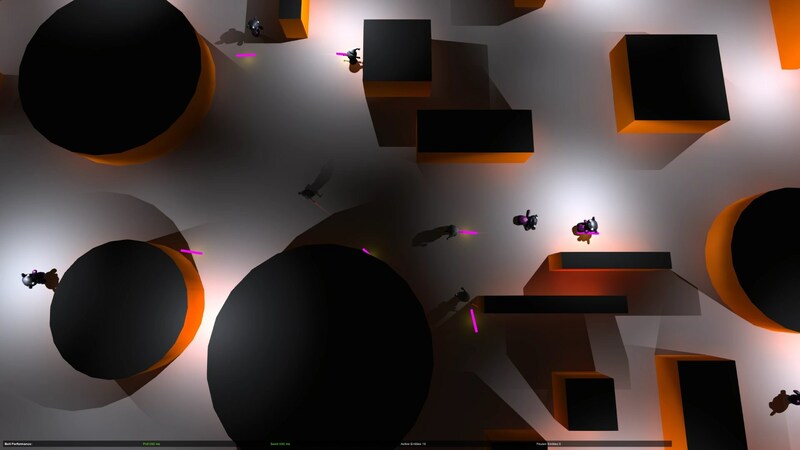 This game is made using Unity 5 and uses assets from the demo “Unity 5 Survival Shooter” and the online networking uses the Unity plugin Blot.